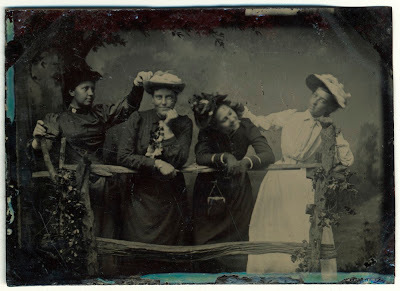 I was just meandering online and came across the George Eastman House's collection of photos on Flickr. Great stuff! Here are a few of my favorites from the set called 'Women!'. 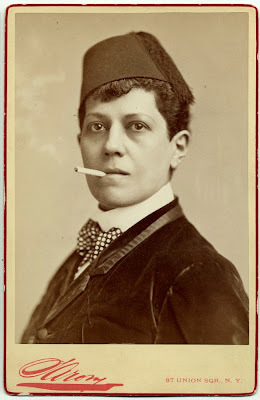 Ella Wesner, Male Impersonator. I love her so much that I'm going to wear my fez today. 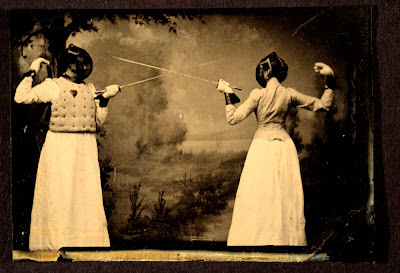 This caught my eye because I'm really excited to be going to a bartitsu class up in Portland in March. 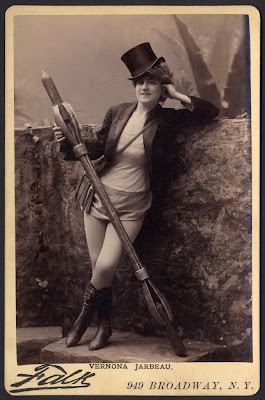 It was a Victorian-era martial art that blended jujitsu, old style boxing, and fencing but with canes or umbrellas, popular with suffragettes and upper-class gentlemen. Like if Mary Poppins had it in for you. She must be some kind of actress, but who know's what she's doing with that big thingy. Love it anyway. Just having a great time. Why not?